Meet Aditus Medical GmbH on booth A40. 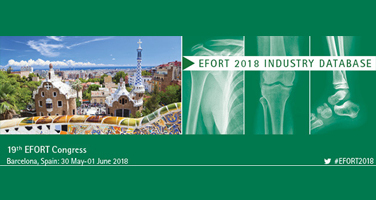 Aditus Medical will participate in the 19th EFORT Congress in Barcelona from 30 May to 01 June 2018 with the new and extended product portfolio. The annual 19th EFORT Congress is the one of the platform for the exchange of knowledge and experience in Europe and the main theme for this year is “Innovation and New Technologies”.